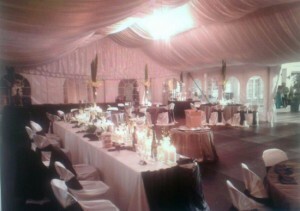 Oz Locals » Blog » Blog » Marquee Hire Services with a Real Difference! Arranging your party or any other event has got easier in Sydney with Bargain Party Hire providing a lot of services and party equipment on hire at affordable prices. 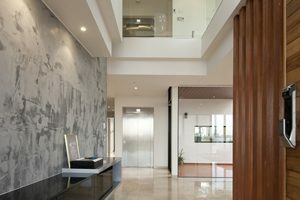 We have been in the business for over 10 years and take a lot of pride in what we offer. We have helped our customers with their party requirements in many different ways and are continuing to that with great pleasure. Our party hire services are honest and rightly priced. They are sure to help you ease your worries whilst you are busy arranging different this for your party. Besides providing regular party equipment for hire, we also provide marquee hire services at affordable rates. With our party hire business being family owned we take due care in providing high quality services to our customers based in Sydney. In fact, we are open to providing customised services to our customers based on their requirements and budget. Our well trained staff members are both experienced and friendly and will work closely with you to give your best services at all times. We provide an array of marquee hire services to our customers. Therefore, you can request our representatives to help you get more details about these services and help you choose one that is sure to guarantee you utmost satisfaction. Despite being in the business for a little over 10 years we have been quick enough to gain high reputation. We provide the cleanest and most efficient party equipment for hire in Sydney. In fact, we make it a point to check all equipment before they are employed at customer’s site as a part of party hire services. Our approach to marquee hire packages is quite similar. We provide customers with several marquee options to choose them. So it does not matter what sort of marquee you need for your party, you are likely to find them all with us. Our marquee hire packages and other regular party hire packages are so good that we have been getting consistent references through our existing customers in Sydney. We are extremely careful in providing value based services and products as they mean a lot to our customers whilst they are hoping their party or event to be a successful one. It gives us a lot of satisfaction when we understand that we have contributed significantly in making our customer’s party grand and a memorable one. Getting quality and affordable party hire and marquee hire services is easy in Sydney. All you need to do is contact Bargain Party Hire and get their expertise to your advantage. previous post: A Party Hire Sydney Service Provider Like No Other!